Police arrested a man last week after he severely beat his girlfriend. Her injuries required to be transported to a Las Vegas hospital for care. Glen Howard, 63, was taken into custody Dec. 4 on charges of attempted murder, battery with substantial bodily harm and domestic battery after Nye County Sheriff’s deputies were called around 10 a.m. to respond to an address in the 1500 block of West Wilson Road for a report of a domestic battery with severe injury. When officers arrived on scene, they made contact with the victim, whom they say was unable to speak with police at the time due to the severity of the injuries she had suffered to her face. The victim was transported from the Wilson Road address to the local hospital where doctors reportedly determined she had suffered multiple facial fractures. She was then transported to Sunrise hospital in Las Vegas for further care. Howard was not at the scene when deputies arrived to investigate the call, but an arrest report notes after officers continued to search for the man they were finally able to make contact with him over the phone around noon. Howard allegedly told police that he wanted to “turn himself in,” and agreed to meet with deputies in the Pahrump Nugget parking lot where he was then arrested in connection to the alleged attack. Following his arrest, Howard was also taken to the local hospital for treatment of injuries he reportedly suffered to his right hand during the earlier incident. 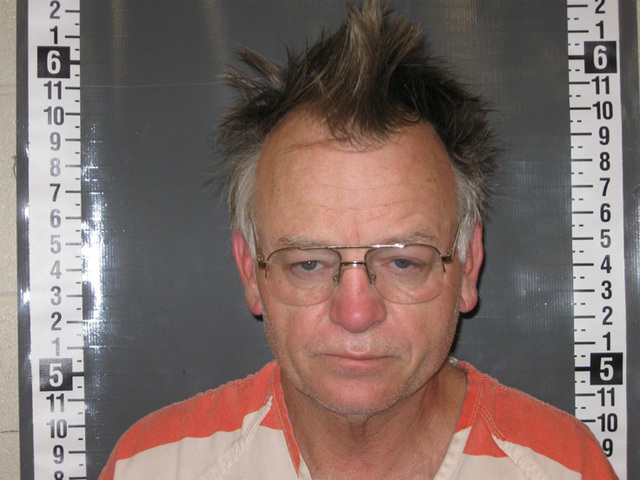 After he was cleared from the hospital, Howard was taken to the Nye County Detention Center to be booked into custody. According to Howard’s arrest report, this may not be the first of such incidents between the couple. When a detective went to interview the victim in the hospital, the woman reportedly told him that Howard on numerous occasions has threatened to kill her and said he that he wants her dead. The victim also allegedly told police Howard has a history of domestic violence and that he “beats” on her regularly. As of Tuesday morning Howard remained in police custody on $153,000 bail.